Bajaj Avenger 200 With 3 Spark Pulsar Engine Launch In India - Fact or Rumour? 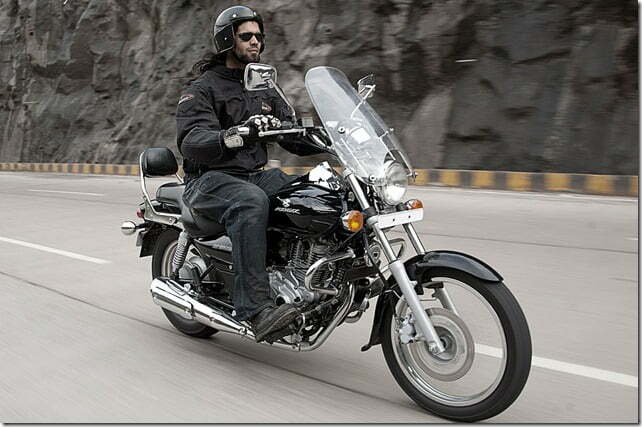 Bajaj Avenger Cruiser To Get 2012 Bajaj Pulsar 200 NS Engine– Rumor or Fact? Talk about Bajaj and the first word coming to your mind is Bajaj Pulsar. Yes it is one of the most successful brands in the country and since its introduction, the Pulsar line-up has been getting all the attention. Recently Bajaj once again took the limelight by unveiling the 2012 Bajaj Pulsar 200 NS which was greatly anticipated and also confirmed a full faired 350CC version of the same by 2013. I know Pulsar is a good bike and people do love it but what about other potent products from Bajaj? We are talking about Bajaj Avenger cruiser which is not getting the deserved attention for months and as being speculated, soon we would see an upgraded Avenger with a more powerful engine in the market. Previously the company upgraded the Avenger with Bajaj Pulsar 220’s DTS-I engine which turned out all good for cruiser lovers and now it is being speculated that the company is expected to upgrade the Avenger yet again with 2012 Pulsar NS’ three spark plug, 200 CC engine. At present the Avenger’s 220 CC engine produces 18 BHP @ 8400 RPM of max power and 17.5 Nm @ 7000 RPM of peak torque. The NS’ 200 CC engine is a liquid cooled, 4 valve technology unit that could deliver a fairly good amount of performance. The engine could churn out 23 BHP of max power and 18 Nm of peak torque for the Avenger which is better than the ongoing model. In terms of the riding experience of the Avenger, I have felt that engine does have scope for improvement both on power as well as refinement front. The gear ratios are not tall and probably the torque range is also not spread over large RPM band, which is why there is a need of frequent gear-shifts on an avenger specially at lower speeds. As new more refined 200 CC engine will not make Avenger feel more powerful and refined, but also with its twin spark technology, make it more fuel efficient especially with the prices of petrol shooting high! There have been speculations and rumors around the same and we hope it comes out to be correct.